Our car accident attorneys recently settled a Michigan no-fault insurance claim on behalf of our auto injury client. The lawsuit was filed against her own auto insurance company for refusal to pay no-fault benefits as required by Michigan statuary law. Our client was driving in Harrison Township, Michigan when she was struck by a negligent driver at the intersection of Crocker Blvd. and Metropolitan Parkway. The other driver failed to yield the right of way causing the collision. As a result of the crash, she suffered serious injuries inc luding a head injury and injuries to her neck, shoulder and back. Significant medical treatment was required for treatment. She also missed substantial time from work and required assistance around the home doing housework that she was unable to perform due to the resulting car accident injuries. Sometime after the collision,, our client’s insurance company sent her to an IME (independent medical examiner), aka as DME (Defense medical examiner), to determine the extent of her injuries and her ability to return to work. The auto insurance company wrongfully cut off all no-fault benefits due to reports from their medical examinations. 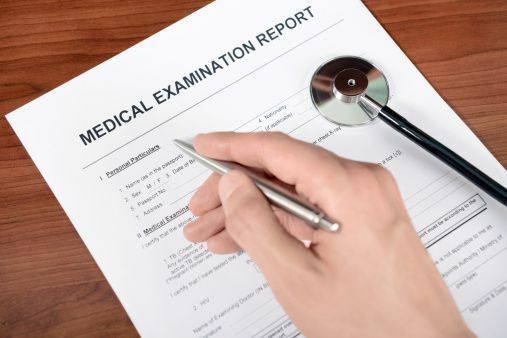 Independent medical examinations are set up by the insurance companies to have accident and injury victims evaluated by their own doctors. These exams are not really independent, and often result in the termination of a victim’s benefits. This is because often times these “independent” doctors are paid handsome sums of money to determine that the injuries of an accident victim are not all that serious, therefore the insurance company can cut off benefits and does not have to pay out. After the insurance company refused to pay for our client’s no-fault benefits, which included payment for wage loss, attendant care, and replacement services, we submitted a Michigan no-fault insurance against them seeking payment. The lawsuit was settled prior to trial and our client was able to receive payment from past and current ongoing benefits. If you were injured in a Michigan car accident and the insurance company either denies you payment of no-fault benefits, or cuts-off/terminates benefits, you may have legal rights and should call our award winning law firm office now so we can discuss your case with you. We will determine if you are eligible to receive such benefits and file a lawsuit against your insurance company to recover all unpaid benefits. Call now at (800) 606-1717 to speak directly with an experienced car accident attorney who has significant experience in filing Michigan no-fault insurance claims. The case review is free and of no obligation. There are strict statute of limitations for filing a claim so it is important you do not wait too long to consult with one of our attorneys.